The aim of this project is to create a public artwork that will bring to life the character and essence of Yaburgurt and commemorate his life through a series of programs and events. The Yaburgurt project identifies the life journey of an amazing Noongar leader, whose father (Winjan) and grandfather (Mogum) were leaders in the area. 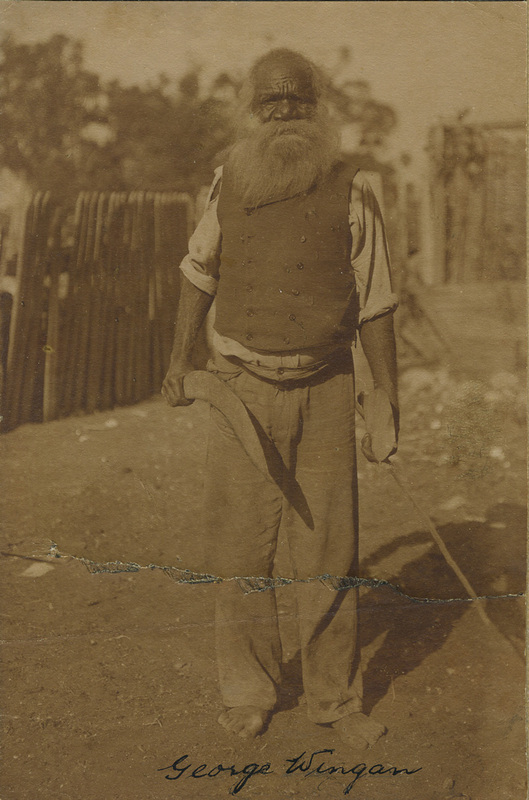 Yaburgurt was born in Koolyininap (Halls Head) in 1824, a survivor of the Pinjarra Massacre he became a significant influential Noongar leader in the region. Settlers gave him a name ‘George’ so we also know of him as George Winjan. Yaburgurt saw much change and left a legacy that includes his wisdom, his knowledge of culture, his understanding and relationship of the land and the leadership of his people. There is a thread of cooperation and tolerance through his personal story as he found his way to work with the early colonising communities to great effect becoming one of the first Aboriginal people in the region to embrace reconciliation. The origins of this project came from the Koolbardies Talking women’s group who wanted to commemorate the one hundredth year anniversary of Yaburgurt’s death in 2015. Encourage a sense of place and identity for residents and visitors. A reference group made up of representatives from the Aboriginal and non-Aboriginal community and City of Mandurah officers is in place to drive the project forward. Supporting Agencies: City of Mandurah, Nidjalla Waangan Mia, Christs’ Church Anglican Parish of Mandurah, Mandurah Baptist College, Peel Harvey Catchment Council and Coodanup Community College. To access educational resources developed for this project click here. Copyright 2019 Our Knowledge, Our Land - Ngalang Kaadadjan, Ngalang Boodja. The Aboriginal community of Mandurah are custodians of the land which centres on our waterways, rivers, lakes, the estuary, the ocean and coastal plains creating an historic thoroughfare in Mandurah today. What we aim to do with the website is capture the culture of Mandurah, its characteristics, what makes the area so special and unique, distinctive and authentic. You are respectfully advised that this website contains images and voices of Aboriginal people now deceased.